Easily control two computers with the Spitfire 4-Port HDMI KVM Switch from Avinair. 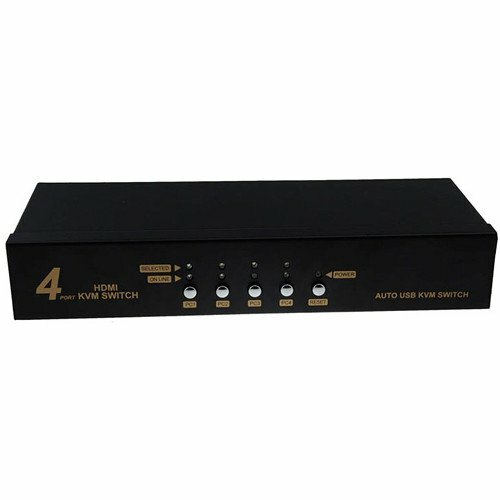 This KVM switch is designed to support multiple HDMI interface computers and offers both USB and PS/2 connectors. On the front panel, you will find dedicated push buttons making it easy to switch between connected computers. 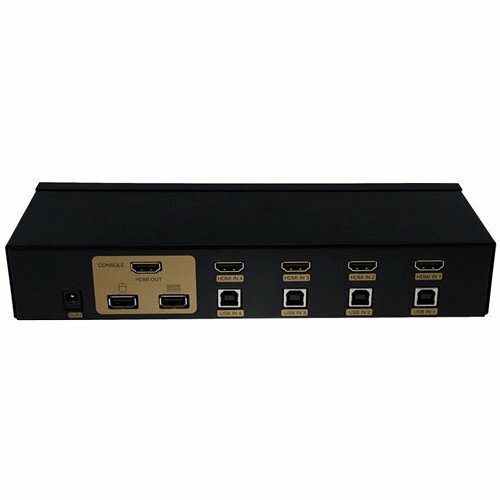 In addition to supporting dual HDMI interface computers, this switch also comes equipped with 4 USB Type B female keyboard / mouse ports and 4 HDMI Type A female video ports. Once configured, this KVM switch is capable of supporting video resolutions up to 1080p and features a metal housing for enhanced durability. Box Dimensions (LxWxH): 12.1 x 7.4 x 3.0"